Rader Funeral Home has been serving Kilgore area families for years. We are honored to be a part of the rich history of this community and plan to be a part of it for many years to come. Rader Funeral Home traces its growth to a long history of dedication and caring. LeRoy Rader, founder of the firm, came to Paris, Texas from his native Illinois in 1930. At Paris, he was employed as a licensed funeral director and embalmer by the Emberson-Brown-Roden Funeral Home. Four years later, LeRoy, his wife, “Bennie", and infant son, moved to Longview, where he was employed by Welch Funeral Home. The following year he moved to Gladewater as manager of Everett & Welch Funeral Home. 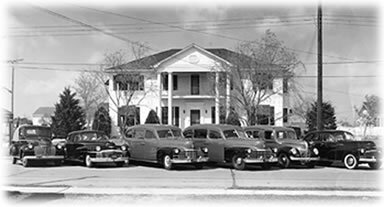 In 1938 he went into partnership with O. Thomas Welch, Sr. and Mrs. Elizabeth Everett and they founded Welch and Rader Funeral Home in Kilgore. Just three years later, the name was changed to Rader Funeral Home after LeRoy bought out his partners’ interests. Rader Funeral Home was housed in a stately 2-story colonial structure (shown above in a 1946 photo) located at 905 Broadway in Kilgore. The building was one of the first in East Texas constructed as a funeral home. Judging by the large fleet of late model vehicles on display, superior service and family comfort was of primary importance then, as it is today. He expanded into the Longview market in 1953 and built a beautiful new structure shortly after. It is located at 1617 Judson Road. In the meanwhile, plans were being made to construct a similar building in Kilgore. 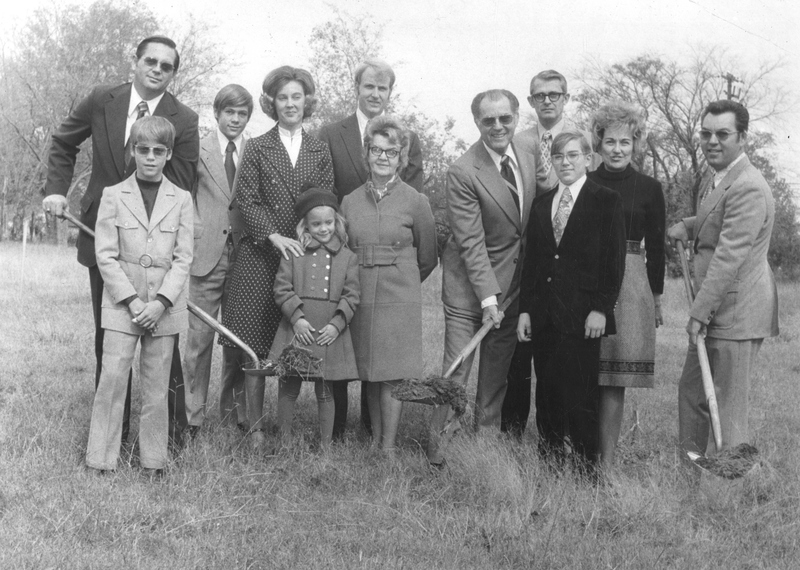 These plans were realized on Sunday, October 28, 1973, when the Rader family held a dedication and public open house. The late Vernon Mitchell, son of Mr. and Mrs. E.A. Mitchell of Kilgore, and husband of the former India Rader, was Vice President and Assistant Manager of the Kilgore operation at the time. Today, J. Mitchell owns and operates the Kilgore location at 401 North Martin..